Mr. Ramlo, 56, has served as our President and Chief Executive Officer since May 2007. He previously served as Chief Operating Officer (2006–2007), as Executive Vice President (2004–2007), and as Vice President, Fidelity and Surety (2001–2004). Mr. Ramlo has been with the Company since 1984 and has a very strong knowledge of our business and the insurance industry. He holds numerous professional insurance designations, including Chartered Property and Casualty Underwriter, Associate in Fidelity and Surety Bonding, Associate in Management and Associate in Risk Management. Mr. Ramlo is a long-time community leader and supporter, with service to many diverse organizations. 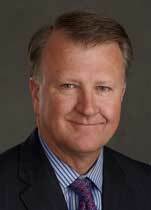 He serves as a director of Cedar Rapids Metro Economic Alliance, an economic development organization, a member of the board of trustees of the Cedar Rapids Public Library, a member of the University of Northern Iowa School of Business Executive Advisory Board, a trustee on the Iowa College Foundation Board and a trustee of the Eastern Iowa Branch of the Juvenile Diabetes Research Foundation International. 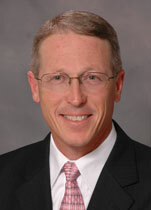 Michael T. Wilkins is Executive Vice President and Chief Operating Officer of UFG, serving the company since 1985. Wilkins joined UFG as a Computer Programmer in 1985. He served as Vice President of the Central Plains region from 1998 to 2002, as Vice President of Administration from 2002 to 2004 and as Senior Vice President from 2004 to 2007. He was named Executive Vice President in 2007 and Chief Operating Officer in 2014. Wilkins holds both a bachelor’s and masters of business administration from the University of Iowa where he studied computer science and business administration. He has also obtained the Associate in Research and Planning (ARP) and Chartered Property Casualty Underwriter (CPCU) professional designations. Dawn M. Jaffray serves as Senior Vice President and Chief Financial Officer of UFG, a position she has held since joining the company in 2015. Prior to her employment at UFG, Jaffray served as Chief Financial Officer of Soleil Advisory Group from 2009 to 2015, specializing in operational consulting, merger and acquisition, investments and strategy. She has a deep background in the insurance industry and correlated business operations, including executive level positions at Dun & Bradstreet, CNA and Progressive Insurance. Jaffray is a graduate of the University of Windsor School of Business and is a chartered professional accountant (CPA) and certified general accountant (CGA). Additionally, she is a certified investor relations officer, a certification obtained from the University of California, Irvine. 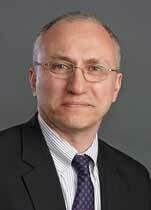 Barrie W. Ernst is Vice President and Chief Investment Officer of UFG, serving in that capacity since 2002. Ernst joined UFG as Chief Investment Officer in 2002. He was appointed a Vice President of the company later that year. Prior to joining UFG, he served as a Senior Vice President at SCI Financial Group, where he was employed for 23 years. Ernst holds a bachelor’s degree from Coe College. 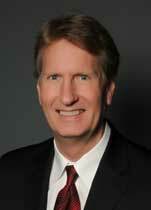 Neal R. Scharmer is Vice President, General Counsel and Corporate Secretary of UFG, serving the company since 1995. 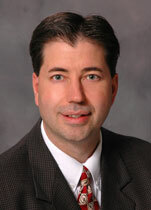 Scharmer joined UFG as a Claims Attorney in 1995. In 2001, he was named Vice President and General Counsel of UFG. He was appointed Corporate Secretary in 2006. Prior to joining UFG, he was employed as Senior Counsel by Grinnell Mutual Reinsurance Company. Scharmer holds a bachelor’s degree from Gustavus Adolphus College and a juris doctor degree from the University of Minnesota. He has obtained the Chartered Property Casualty Underwriter (CPCU) professional designation. 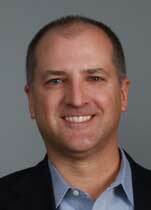 Brian J. Frese is Vice President and Chief Technology Officer of UFG, serving the company since 2015. Frese joined UFG as Chief Technology Officer in 2015, bringing nearly 20 years of information technology experience to the company. Prior to joining UFG, he served as Senior Vice President of Technology at Transamerica Corporation, where he was employed from 1998 to 2015. Frese holds a bachelor’s degree in psychology from Iowa State University. 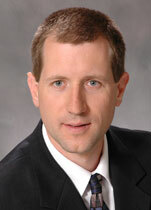 Corey L. Ruehle is Vice President and Chief Claims Officer of UFG, serving the company since 2001. Ruehle joined UFG as a Commercial Underwriter in 2001. He has served in various capacities during his employment, including as Underwriting Supervisor and Underwriting Manager. 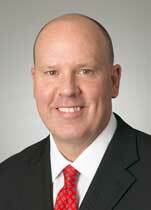 He was promoted to Branch Manager of the Midwest region in 2012 and was named a Vice President of the company in 2013. In 2019, Corey was named Vice President and Chief Claims Officer for UFG. Ruehle graduated from the University of Northern Iowa with a bachelor’s degree in finance. He also holds the Associate in Commercial Underwriting (AU) and Certified Insurance Counselor (CIC) professional designations. 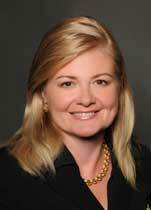 Tracy L. Bastian is Vice President and Director of Human Resources for UFG, serving the company since 2013. Bastian joined UFG as a Benefits Manager in 2013. She was promoted to Director of Human Resources in 2016 and named a Vice President of the company in 2017. Her prior experience includes insurance consulting. Bastian has a bachelor’s degree from Clarke University and also holds an insurance license in the state of Iowa. 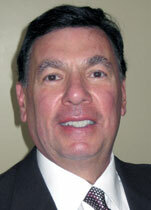 Robert F. Cataldo is Vice President and Strategy Officer of UFG, serving the company since 2011. Cataldo joined UFG as a Senior Portfolio Manager in 2011. In 2015, he was promoted to Assistant Vice President & Senior Portfolio Manager. In 2018, Robert was named Vice President and Strategy Officer for UFG. Cataldo graduated from the University of Notre Dame with a Master of Arts, Economic degree and graduated from Drake University with a Master of Business Administration, Finance degree. He also holds the Chartered Financial Analyst (CFA) professional designation. Michael J. Sheeley is Director of Corporate Marketing. Sheeley joined UFG in 1985 as an Underwriter. From 1993 to 2004, he served as Underwriting Manager of the Personal Lines division. He was named an Assistant Vice President of the company in 2004. From 2011 to 2018, he served as Vice President and Chief Operating Officer of United Life. In 2018, he was named Vice President, Corporate Marketing. Sheeley has a degree in business management from the University of Northern Iowa. He has also obtained the Chartered Property Casualty Underwriter (CPCU) professional designation. 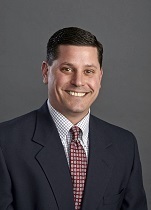 Brian S. Berta is Vice President and Branch Manager of the Great Lakes region of UFG, serving the company since 1993. Berta joined UFG as a Commercial Underwriter in 1993. He was promoted to Underwriting Supervisor in 1999 and Underwriting Manager in 2001. 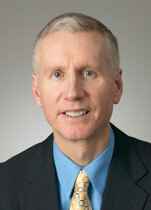 In 2006, he was named Branch Manager of the Great Lakes region and appointed a Vice President of UFG. Berta holds a bachelor’s degree in finance from Illinois State University. 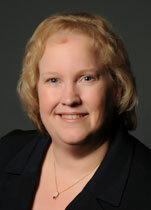 Jeanette Dostal is Vice President and Midwest Regional Manager, serving the company since 1996. Dostal joined UFG in 1996 in a Commercial Underwriting support role. She has served in various capacities during her tenure, including Senior Commercial Lines Underwriter and Underwriting Supervisor. In 2012, she was promoted to Underwriting Manager of our Midwest Region, and was named AVP in 2014. In 2019, Jeanette was promoted to Vice President and Midwest Regional Manager. Dostal graduated from University of Iowa with her bachelor’s degree. She also holds an associate/legal assistant degree and the Associate in Commercial Underwriting (AU) and the Charter Property & Casualty Underwriter (CPCU) professional designations. Raymond E. Dudonis is Vice President and Branch Manager of the East Coast region of UFG, a position he has held since 2011. Dudonis joined UFG in 2011 as part of the acquisition of Mercer Insurance Group, where he served since 2006. He was named a Vice President of UFG later that year. He has nearly 40 years of experience in the insurance industry and was previously employed by American Reinsurance Company/Munich American Risk Partners from 1997 to 2006, Post Financial Services, LLC from 1994 to 1997 and Continental Insurance Company from 1977 to 1994. Dudonis attended Jersey City State College and has obtained the Associate in Commercial Underwriting (AU) professional designation. Victoria L. Hefel is Vice President and Regional Manager of the personal lines division of UFG, serving the company since 2008. 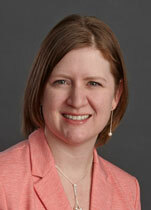 Hefel joined UFG as a Personal Lines Underwriter in 2008. She was promoted to Personal Lines Regional Manager in 2011 and named a Vice President of the company in 2014. Hefel holds a bachelor’s degree in marketing from Iowa State University and has also obtained the Certified Insurance Counselor (CIC) professional designation. 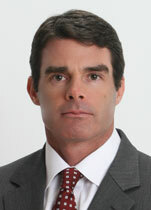 Joseph B. Johnson is Vice President and Branch Manager of the Gulf Coast region of UFG, serving the company since 2006. Johnson joined UFG as Branch Manager of the Gulf Coast region in 2006, bringing over 25 years of insurance experience to the company. He was named a Vice President in 2007. Prior to joining UFG, he served as Vice President of Insurance Operations at Beacon Insurance Group from 2001 to 2006. Johnson holds a bachelor’s degree from the University of Central Arkansas. Alison B. Kaster is Vice President and Director of the Project Management Office (PMO) of UFG, serving the company since 2006. Kaster joined UFG as a Project Manager in 2006. She was promoted to Director of the PMO in 2013 and named a Vice President of the company in 2014. Kaster holds a bachelor’s degree from Luther College and has also obtained the following professional designations: Associate in Insurance Service (AIS) and Project Management Professional (PMP). Robert L. Rey is Vice President and Branch Manager of the Specialty Excess and Surplus Lines division of UFG, serving the company since 2014. Rey joined UFG as Branch Manager of the Specialty Excess and Surplus Lines division in 2014. He was named a Vice President of the company in 2015. Prior to joining UFG, he served as Assistant Vice President and Director of Commercial Lines for Topa Insurance Company. Rey has a bachelor’s degree in business administration from State University of New York at Buffalo. He also holds the Chartered Property Casualty Underwriter (CPCU) professional designation. 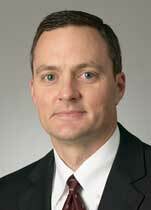 Dennis J. Richmann is Vice President and Manager of the Surety division at UFG, a position he has held since 2006. Richmann joined UFG in 1988 as a Commercial Underwriter. 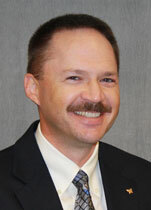 He transferred to the Surety division in 1997 and served as Surety Underwriting Manager from 2003 to 2006. He was named Vice President and Surety Manager of UFG in 2006. Richmann received a bachelor’s degree in marketing from the University of Northern Iowa and a master’s degree from the University of Iowa. He has also obtained the Associate in Commercial Underwriting (AU) professional designation. 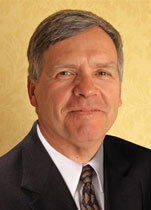 Allen R. Sorensen is Vice President and Corporate Underwriting Manager of UFG, serving the company since 1981. 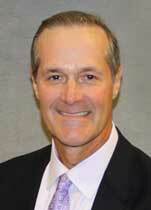 Sorensen joined UFG as an Assistant Underwriter in 1981. He has served in various capacities for the company, including as Underwriting Supervisor, Automation Project Manager and Assistant Vice President of Product Support. In 2006, he was named Vice President and Corporate Underwriting Manager. Sorensen holds a bachelor’s degree from the University of Northern Iowa and a master’s degree from the University of Iowa. He has also obtained the Chartered Property Casualty Underwriter (CPCU) and Certified Insurance Counselor (CIC) professional designations. 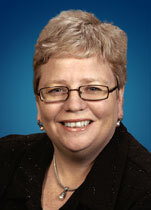 Janice A. Martin is Treasurer and Assistant Vice President-Treasury & Tax for UFG, serving the company since 1988. Martin joined UFG as an Accounting and Tax Specialist in 1988. She was promoted to Tax and Accounting Manager in 2006 and Director of Tax in 2014. She was appointed Treasurer of the company in 2008. She was named an Assistant Vice President of the company in 2016. Martin holds numerous professional designations, including the Associate in Insurance Accounting and Finance (AIAF), Chartered Property Casualty Underwriter (CPCU) and Fellow Life Management Institute (FLMI). 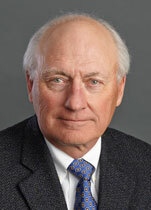 Mr. Evans, 69, became Chairman of our Board of Directors in October 2009. He has served as a director since 1995 and as Vice Chairman from 1997–2009. Mr. Evans has a very strong business background and currently holds the position of President of The Hall-Perrine Foundation, a private philanthropic corporation located in Cedar Rapids, Iowa. He has held that position since 1996. From 1993 to 1995, he served as President of SCI Financial Group, a regional financial services firm located in Cedar Rapids, Iowa that provided brokerage, insurance and related services to its clients. Mr. Evans has extensive experience with public companies. He currently serves on the Board of Trustees of registered investment companies in the Nuveen Mutual Funds complex. He has served as a director of Alliant Energy Corporation of Madison, Wisconsin, a utility company, and as a director of the Federal Reserve Bank of Chicago. 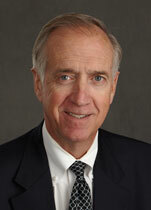 Mr. Evans is also a former member of the Iowa Board of Regents, which oversees the state’s public university system. As a long-serving director of our Company, Mr. Evans has gained broad knowledge of the insurance industry generally and our Company in particular. Mr. Noyce, 62, has a strong business, accounting and insurance industry background, with extensive public company experience. Before retiring, Mr. Noyce had nearly three decades of experience in the financial services industry, most recently as Chief Executive Officer and Director of FBL Financial Group, Inc. (“FBL”), an insurance holding company headquartered in West Des Moines, Iowa. While at FBL, Mr. Noyce served as Chief Executive Officer and Director (2007–2009), Chief Financial Officer (1996–2007), and Chief Administrative Officer (2002–2007). From January 2000 to July 2002 he was Executive Vice President and General Manager of the property casualty companies managed by FBL. Mr. Noyce began his employment with FBL and its affiliates in 1985. In March 2016, Mr. Noyce served as Interim CEO of the Greater Des Moines YMCA while the organization performed a search for a permanent CEO. Since 2009, Mr. Noyce has served as a director of West Bancoproration, Inc. of West Des Moines, Iowa, a bank holding company, where he chairs its audit committee. Mr. Noyce has held or still holds numerous professional certifications and designations including certified public accountant; Fellow, Casualty Actuarial Society; Associate, Society of Actuaries; Fellow, Life Management Institute; and Member, American Academy of Actuaries. He was named Outstanding CPA in Business and Industry by the Iowa Society of CPAs and was inducted into the American Institute of Certified Public Accountants’ Business and Industry Hall of Fame in 2007. Mr. Besong, 64, has a strong technical, business and management background, having previously held the position of Senior Vice President of e-Business and Chief Information Officer for Rockwell Collins, a Fortune 500 company based in Cedar Rapids, Iowa, that provides aviation electronics for both commercial and military aircraft. He was appointed Senior Vice President and Chief Information Officer in 2003, serving until 2015. 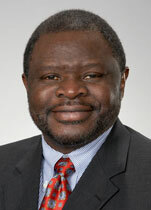 Beginning in 1979, when he joined Rockwell Collins as a chemical engineer, Mr. Besong has held management roles having increasingly more responsibility within the company, including vice president of e-Business and Lean Electronics™, head of the SAP initiative and Director of the Printed Circuits and Fabrication businesses. Since 2015, Mr. Besong has served as a director of QCR Holdings, Inc. of Moline, Illinois, a multi-bank holding company. Mr. Besong is a strong community supporter and member of various industry and community boards. 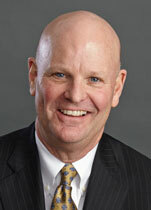 He serves on the board of directors of Lean Aerospace Initiative (LAI), Junior Achievement of Eastern Iowa (Cedar Rapids Area), Mercy Medical Center, Iowa Public Television Foundation and Technology Association of Iowa (TAI) CIO Advisory Board, where he serves as a member and former chair of the executive board of TAI. Mr. Besong’s business background provides him with a very strong understanding of technological advances critical to the insurance industry. The Board of Directors believes that Mr. Besong’s qualifications to serve as director include his business acumen and distinguished management career as an officer and information technology expert of a Fortune 500 company. Mr. Carlton, 49, has a strong international business background and extensive experience within the finance and accounting functions in a global public company. He is currently the President of Tokai Carbon GE LLC, the US subsidiary of Tokai Carbon, a global leader in carbon-based materials, a position he has held since 2017. Prior to this position, Mr. Carlton was the President of SGL Carbon LLC for 10 years, leading a subsidiary of SGL Group-The Carbon Company, a leading worldwide manufacturer of carbon-based products with 42 facilities worldwide, including 12 locations in North America. From 2002 until 2007, Mr. Carlton served as Vice President of Finance and Controlling for the largest business unit of SGL Carbon Group, and in that capacity was responsible for the controlling, finance and accounting functions. Since beginning his career with SGL Carbon Group in 1994, Mr. Carlton has worked in a variety of accounting and financial positions at various locations within and outside of the US. Mr. Carlton holds a bachelors degree in financial management, a masters of business administration degree and completed the Senior Executive Education Program at the London Business School. He has a strong background in finance, with particular expertise in accounting, financial oversight and reporting. Mr. Carlton also has insurance experience on both a domestic and international scale. Mr. Carlton is actively involved on corporate boards and in the community. He is also a director of the Carolina chapter of the National Association of Corporate Directors (“NACD”) and is a registered NACD Governance Fellow. Mr. Carlton serves on the board of E4 Carolinas and the German Language and Culture Foundation of Charlotte, North Carolina. Mr. Carlton is a first cousin by marriage to Mr. Drahozal, another director of the Company. Mr. Drahozal, 56, is an internationally known legal scholar. He is the John M. Rounds Professor of Law and Associate Dean for Research and Faculty Development at the University of Kansas School of Law in Lawrence, Kansas, where he has taught since 1994. During Fall 2015 he was, and during Fall 2018 he will be, the Mason Ladd Distinguished Visiting Professor of Law at the University of Iowa College of Law. He is on the Board of Directors of The McIntyre Foundation and of Arbitrator Intelligence, Inc., a nonprofit working to enhance transparency, fairness, and accountability in the selection of international arbitrators. From 2012 to 2016, Mr. Drahozal has also served as special advisor to the Consumer Financial Protection Bureau, a government agency headquartered in Washington, D.C., on matters related to the use of arbitration clauses in consumer financial services contracts. Prior to teaching, Mr. Drahozal was in private law practice in Washington, D.C., and served as a law clerk for the Iran-U.S. Claims Tribunal, the United States Court of Appeals for the Fifth Circuit and the United States Supreme Court. Mr. Drahozal is a first cousin by marriage to Mr. Carlton, another director of the Company. Dr. Gardial, 60, is Dean for the Henry B. Tippie College of Business at the University of Iowa in Iowa City, Iowa, occupying this role since 2012. Previously, Ms. Gardial served as the Vice Provost for Faculty Affairs at the University of Tennessee (2008–2012). 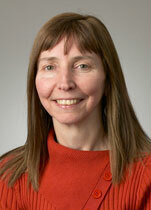 She also held the Beaman Professorship at the University of Tennessee (2006–2012). She has a strong background in business, having taught business principles at the collegiate level for over 30 years. The Board of Directors believes that Dr. Gardial’s qualifications to serve as director include her vast business acumen, especially regarding the growth and improvement of marketing principles and customer value. 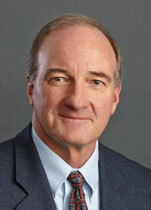 Dr. Gardial also serves as a member of the Board of Directors of University of Iowa Community Credit Union. Mr. Milligan, 61, has a strong business background, with service since 1985 as President of The Graham Group, Inc., of Des Moines, Iowa. The Graham Group, Inc. consists of a real estate firm specializing in developing office buildings and a construction firm specializing in constructing hospital facilities. Since 2005, Mr. Milligan has also served as a director of West Bancorporation, Inc. of West Des Moines, Iowa, a bank holding company. Mr. Milligan serves as a director on the loan committee and nominating and governance committee of the West Bancorporation, Inc. Board of Directors. Mr. Milligan previously served as director of Allied Life Insurance Company. Mr. Milligan is a long-time community leader and supporter, being active with the Boy Scouts of America, the Dowling Foundation, and the Variety Club of Iowa. Ms. Quass, 67, is President and Chief Executive Officer of NRG Media, LLC, headquartered in Cedar Rapids, Iowa, a position that she has held since 2005. NRG Media, LLC is a broadcast group consisting of 42 analog radio stations and 20 digital streaming radio stations in the Midwest. Ms. Quass previously served as President and Chief Executive Officer of New Radio Group, LLC (2002–2005). She also served as President and CEO of Central Star, a division of Capstar Broadcasting Partners, Inc. from 1998 through the merger of Capstar Broadcasting Partners, Inc. in 2001 into AMFM. Ms. Quass has a strong business background and has been a long time community leader and supporter. 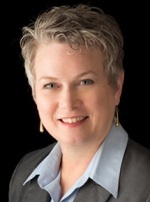 She serves on the board of directors for Van Meter Inc., a distributor of electrical and mechanical supplies, services and solutions in Cedar Rapids, Iowa, and the Cedar Rapids, Iowa, region of U.S. Bank. 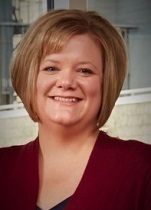 Ms. Quass’ service extends to community boards as Chair for Mercy Medical Center in Cedar Rapids, Iowa; past Chair of the Entrepreneurial Development Center, a public/private sponsored business accelerator in Cedar Rapids, Iowa; Trustee of United Way East Central Iowa; and past Chair of the Cedar Rapids Chamber of Commerce. Ms. Quass is involved in professional organizations including service on the Board of Directors and Executive Committee of the National Association of Broadcasters and the Radio Advertising Bureau Executive Committee, and as Treasurer of the QMac IBA Foundation and past Chair of the Iowa Broadcasters Association. Ms. Quass has been recognized by the broadcast industry including being named as Radio Ink Magazine Broadcaster of the Year for 1999 and one of the 40 Most Powerful Broadcasters (2005–2010). She has been inducted into the Iowa Broadcasters Association Hall of Fame and is the recipient of the Rivers Humanitarian Award. Ms. Quass has a very strong understanding of the insurance industry in general and our business operations in particular due to her service on our Board of Directors. Mr. Skogman, 67, possesses a strong business background. Since 1990, he has served as President of Skogman Construction Co. of Iowa, a company that specializes in residential construction and real estate sales, primarily in Cedar Rapids, Iowa. Skogman Homes has built over 6,200 homes since Mr. Skogman became President. Mr. Skogman also owns an interest in a property-casualty insurance agency. He was inducted into the Cedar Rapids Area Homebuilders Association Hall of Fame. 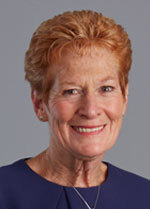 Susan E. Voss, 62, joined American Enterprise Group, Inc. as its Vice President and General Counsel in November 2013. Headquartered in Des Moines, Iowa, American Enterprise Group provides personal and customized health and life insurance solutions for individuals, families and small business owners. Prior to joining American Enterprise Group, Inc., Ms. Voss had her own consulting firm in 2013, Voss Consulting, LLC, which provided consulting and expert witness services in the areas of insurance and financial product regulation and compliance issues. Before Voss Consulting, Ms. Voss worked in Iowa state government for 31 years, the last 20 of which were spent with the Iowa Insurance Division. In 2005 she was appointed by then-Governor Tom Vilsack to serve as Iowa Insurance Commissioner, a position she held until 2013. Ms. Voss was elected by her peers as an officer of the National Association of Insurance Commissioners (“NAIC”) in 2007 and served as its President in 2011. During her time as Iowa Insurance Commissioner and her tenure with the NAIC, Ms. Voss served on a number of NAIC committees including: Market Conduct and Regulation Committee (which she chaired from 2005 to 2006), the Principles-Based Reserving Working Group (which she chaired in 2012), International Insurance Committee (which she chaired in 2012), Life and Annuities Committee, Financial Condition Committee and Financial Regulation Standards and Accreditation Committee. Ms. Clancy, 63, has a wealth of valuable experience in the insurance industry, having most recently served as the Global Chief Technology Officer for AEGON N.V. ("AEGON") (2013–2016), which is a multinational life insurance, pensions and asset management company headquartered in The Hague, Netherlands. AEGON is a parent company of Transamerica Corporation, an American holding company for various life insurance companies and investment firms doing business primarily in the United States, offering life and supplemental health insurance, investments, and retirement services. 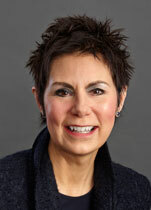 Throughout her 40-year career with AEGON, Ms. Clancy held numerous financial leadership positions including President of Transamerica Life Insurance Company (2008–2016), Executive Vice President and Chief Operating Officer of Transamerica Life Insurance Company (2004–2008), Senior Vice President, Information & Finance and Treasurer of Life Investors Insurance Co. of America (1997–2004), and Vice President and Controller of Life Investors Insurance Co. of America (1992–1997). She was actively involved in all major acquisitions, strategy development, change initiatives and business integration.